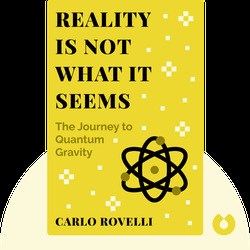 Reality Is Not What It Seems (2014) offers a quick overview of the long journey modern science has taken from the cosmic observations of ancient Greece to the heady theories of quantum mechanics. These blinks offer an easily digestible take on the many twists and turns that have occurred in the history of modern physics, as well as an overview of the tricky questions physicists continue to grapple with today. 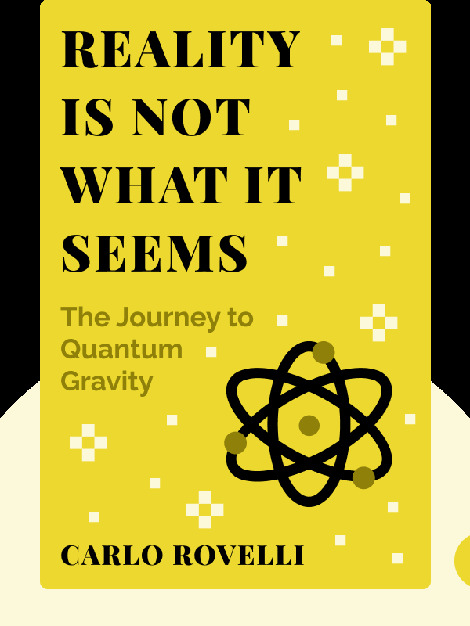 Carlo Rovelli is a theoretical physicist who has made significant contributions to the field of physics and our understanding of space and time. He currently directs the quantum gravity research group of the Centre de Physique Théorique in Marseille, France. His other books include Seven Brief Lessons on Physics and The Order of Time.